House Republicans are picking up the pace of their PPACA investigations, reversing a lull after the presidents administration took a victory lap upon signing up about 8 million Americans for the health program. (Bloomberg) — House Republicans are picking up the pace of their Obamacare investigations, reversing a lull after the president’s administration took a victory lap upon signing up about 8 million Americans for the health program. 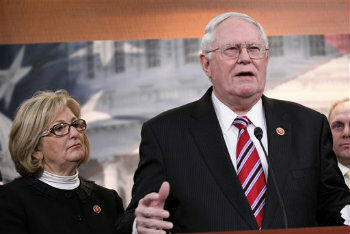 The Republican-controlled House Ways and Means Committee will hold hearings July 23 and 24 on the Patient Protection and Affordable Care Act’s coverage subsidies and on its payment cuts to health insurers participating in the private sector version of the U.S. health program for the elderly, called Medicare Advantage.